Well, I thought why not express it poetically?!! I didn't kill my little girl. The body in the woods--that wasn't my daughter. The words on the page kept ringing in Dani Trumball's ears. I loved my little girl and only wanted to help her. Anand is an Indian success story: successful, well-married, rich. At least, that’s how he appears. But if his little factory is to grow, he needs land and, in the New India, this is not easy to find. 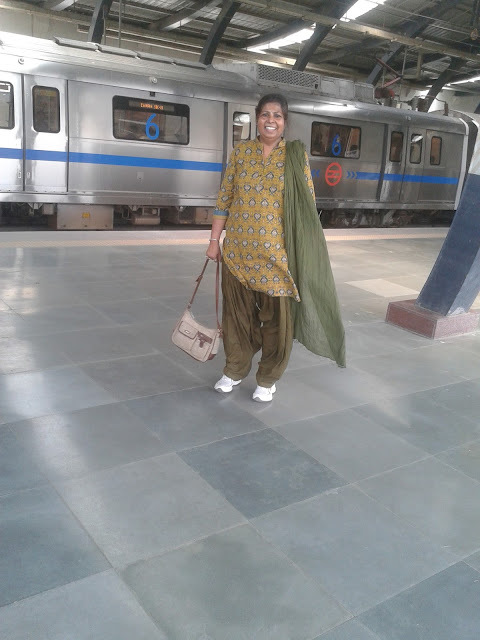 Kamala, Anand’s family’s maid, lives perilously close to the edge of disaster. 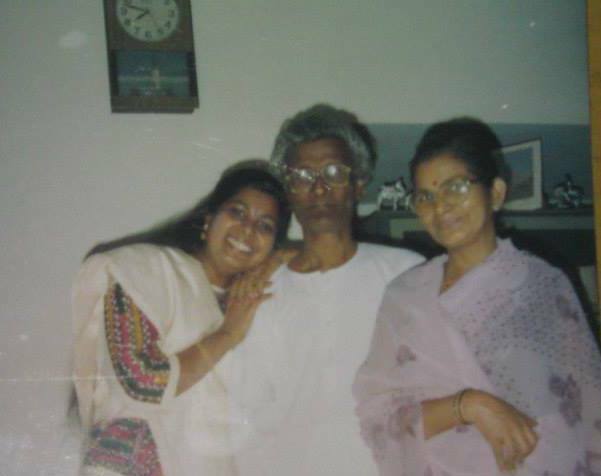 She and her clever teenage son have almost nothing, and their small hopes for self-betterment depend on the contentment of Anand’s wife: a woman to whom whims come easily. But Kamala’s son keeps bad company. Anand’s marriage is in trouble. And the murky world where crime and land and politics meet is a dangerous place for a good man, particularly one on whom the wellbeing of so many depends. 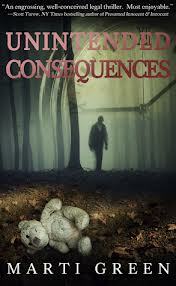 After a horrific accident claims the life of his best friend at the age of eighteen, James Milligan is changedforever. For the next seventeen years, he lives as a shadow of his former self: shutting out those who love him most, navigating his life in a veil of solitude and drowning himself in anxiety and guilt. When a chance encounter introduces him to Martin Diggs, an enigmatic war veteran, and palliative care nurse Rebecca Doyle, his life takes a turn for the best. Rebecca reignites emotions he thought were gone forever, and Martin challenges him to accept his shattered past and move forward. I also downloaded two free Kindle books. I do not have a Kindle but I can read the books on Kindle For PC. George said he didn’t do it. That the body isn’t his little Angelina. But that’s all he’s ever said – no other defense, no other explanation. Dani Trumball, an attorney for the Help Innocent Prisoners Project, wants to believe him. After all, there was no forensic evidence that the body in the woods was George’s daughter. But if the girl isn’t Angelina, then who is it? And what happened to the Calhouns’ missing daughter? For nineteen years, George Calhoun has stayed silent. But that’s about to change, and the story he tells Dani—if it’s true—changes everything. Cabdrivers and their yellow taxis are as much a part of the cityscape as the high-rise buildings and the subway. We hail them without thought after a wearying day at the office or an exuberant night on the town. And, undoubtedly, taxi drivers have stories to tell—of farcical local politics, of colorful passengers, of changing neighborhoods and clandestine shortcuts. No one knows a city’s streets—and thus its heart—better than its cabdrivers. 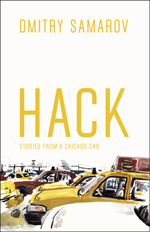 And from behind the wheel of his taxi, Dmitry Samarov has seen more of Chicago than most Chicagoans will hope to experience in a lifetime. What book(s) do you find yourself going back to? Beloved children’s classics? Favorites from college? Something that touched you and just makes you long to visit? Lately I have had no inclination to go back to books I love. But yes, I loved re-reading Three Men in a Boat by Jerome K. Jerome every summer. I also loved going back to Gerald Durrell books. Nothing beats books that tickle the funny bone!! "The enemy was closing in but the ground was such that much of the direct artillery fire was not possible. We still fired about 20 rounds per gun towards black rock and beyond supply point. The melee of the battle was confusing; our personnel withdrawing, Chinese devastating shelling and small arms firing. My three LMGs were firing and we were using our personal weapons." Publisher: Natraj Publishers/1969 (banned) Reprint in 1997, 2010. The wide gap between the political decision and the tactical readiness for war is best summed up where the author, Brig. J.P. Dalvi, says ‘A quarter-inch map of NEFA in Delhi does not convey the enormous logistic difficulties. We were short of everything.’ The author rewinds into history and sets a detailed context and the compulsions that finally resulted into the inevitable, the Himalayan Blunder. That is the real story of the book. 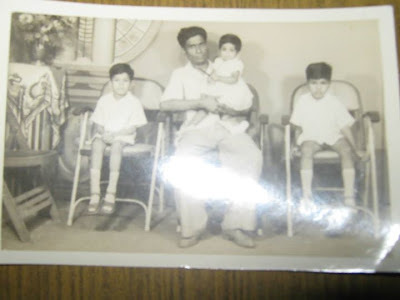 War stories are always fascinating, as they bring out the brave elements in us while reading them within the confines of our four walls where one safely relates oneself to be one of the heroes of the story, and mentally pictures oneself as a crusader against all the injustice being meted out to the country. The stories bring out the passion, the adrenalin rushes, the patriotism, the invincibility, and the self-righteousness to the forefront, and the book is raced through till we have vanquished the enemy and rested for the laurels and celebrations, that happens on the last page. Most of such stories are distilled truth, and well polished and packaged to sell since there is a stake for the author, the publisher, and sometimes, organizations extending onto countries. Patriotism sells well; and hard patriotism sells better. “Himalayan Blunder, by Brig J.P. Dalvi” is quite a contrast, and is not for the wannabe heroes; it does not even seem to have been edited to make it a best seller. The narrative is free flow, raw, un-nerving, and is a clear recollection of a human mind that has had a lasting experience of a period that would fail to erase from his memory till nature decides otherwise. It is a reflection of a mind that has painstakingly spent time and efforts to analyze and did a post-mortem on one of the darkest chapters of India post independence. It is a deliberation that goes beyond the few weeks of action, and covers the actors and controllers who were far away from the scene of action, but were instrumental to the decisions; the actors and controllers who would devour all the praise for the victory (that was not to happen) but would shun all responsibility and ownership for the greatest debacle that they pushed the Indian army into. It is a report that gives an insight about individuals, who believed on invincibility, on decisions to maintain the high-image in the world-order, and blind to the stark-realities of the limitations at the execution level. Psychological warfare is different from a real one; you can create images and mirages in the mind, but a real war needs physical support – on personnel, ammunitions, logistics, and communications, control. This book was banned when it was first published. Public memory was surely fresh and emotions had not subsided in that decade, the people at high levels of responsibility were still in public life, and its publication would only flame a fire which still had not died. Everyone was trying to forget the humiliation of 1962, with some trying harder to erase it from the public memory. After decades, that generation is all into oblivion, and the present one would relate to it only as a small extension to our independence story, that speaks highly of the multiple decades of peaceful struggle by the freedom fighters. Regarding the book, let me mention that the hardbound copy is a pathetic justice to the 500+ pages on the military history. It is really sad to see that the hardcover fell off even before I could cover 200 odd pages. The book binding is as raw as the narrative itself. We are still no different from the 1960s in many ways. 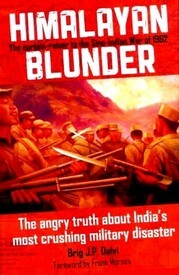 “Himalayan Blunder” is an analysis of the Sino-Indian military disaster, a post-mortem of the humiliating defeat of India by China, a silent cry of a soldier whose wounds never healed, and an apology to the nation for the grand failure that shocked the entire nation. The author has spent time on the initial chapters to give an understanding on the geo-political map of the Himalayan region – covering China, Tibet, Pakistan, the key entities that have had border issues along the Himalayas. The background onto the Sino-Tibetan relations in 20th century, the Anglo-Tibetan Treaty of 1904, The Anglo-Chinese Treaty of 1906, The Tripartite Conference of Tibet, China and Britain in Simla in 1913-14, the boundary agreement between India and Tibet famously known as the McMahon Line, and the Anglo challenge to China on their suzerainty over Tibet , to the final annexation of Tibet by China in 1950 and the mute support from newly independent India – these were key to the border dynamics that was to reach a crescendo in the next decade, and remain unresolved till date. There is reference to the prophetic letter from Sardar Patel to Nehru, also reproduced in full in the appendix, which gives his critical analysis of the invisible Chinese policy towards India. The subsequent chapters describe the Chinese build up in Tibet, the infrastructure development in Aksai Chin, upliftment of the local Tibetans from the lower strata, access roads from mainland China to Tibet, built up of highways north of McMahon line, while building friendly relations with young India that resulted in the Panch Sheel Agreement of 1954, and the voluntary withdrawal of India from Tibet by giving up the military, communications and postal rights. It may be noted that the strategic road across Aksai Chin was news to us only when it appeared in the published Chinese maps. The chapters also talk of the Indian defense focus on the other border with Pakistan, the Kashmir War, and the military overheads created due to the cease-fire line with Pakistan, that trouble us till date. With China being cultivated as a friend, it was well suited to focus on only one border. It suited the government policy on peaceful coexistence, as well as helped to work within the meager budget that was hardly sufficient to maintain, and equip an army to man the most hazardous and difficult Tibet border. The author speaks of the slowly hardening stand of China, after the China-Tibet clash in Lhasa, followed by flee of Dalai Lama to India with political asylum. Border lines were questioned, and troubles were getting created by Chinese army across a few frontiers in 1959. These would have quiet withdrawals, after raising localized tensions, and this made the political brass more confident that these incidents were adventures of the local units, and not part of any grandiose plan. The author laments on the lack of any National Policy on China, that prevented a strategic approach to handle the upcoming tensions and only transactional responses were made by the Indian government on a limited scale. The forward policy led to opening of forward posts in the subsequent years of 1961-62, were more to create deterrence to the Chinese, while the ground level reality was a very limited manpower to manage those posts, with no real capability to offer resistance to any confrontation. As Brig. Dalvi noted, any short coming on such capability was more than made up by political rhetoric, till the Chinese called this bluff in 1962. The story talks of the differences between the political leadership and the Army, the inadequacy of the Air Force for air-drops, the breakdown of the command-and-control structure in the Army, seniors usurping roles of their subordinates and making them redundant, the shortage of war essentials for the soldier to survive on the mighty Himalayas, and the failed intelligence about the Chinese buildup for any impending strike. It talks of the diffused and unclear coordination and control spread across the multiple entities - Army, Assam Rifles, the BRO, and the ITBP, and the constraints from finance ministry to meet the genuine demands from the man at the border. The author also highlights the multiple instances where Army expressed reservations on the suicidal forward policy, citing the gross inadequacy of staff, ammunition, guns, roads, clothing, porterage, and winter shelters. The narrative presents a highly critical view on the movements of troops, spreading them thin, and without them being part of a grand military plan. Brig. J. P. Dalvi gives examples and inferences that suggest that public pressure fueled on the decisions by the civil supremacy, that over-ruled the army leading to the predictable results. A good amount of text in the book is devoted to those critical weeks from September-November period of 1962, which highlight the extreme situations faced by our soldiers, the lapses at tactical level, the air-drop losses, and all other exposure to situations that were earlier sounded as warning signs by the Army needing urgent attention. This book is an eye opener to any reader, who is a civilian content with paying taxes, but always wary of the growing defense budget. It is not easy reading for a non military person, both in terms of the terminology and the pain she goes through while reading about soldiers who move in mountain snow, with hardly any gear to maintain the physical well being. . The book is highly critical of the political governance, including some of the key players in the Army. It is partly a rebuttal and a strong counter-view to other published books and public responses made after the defeat, most of which were critical of the men at the front. To be fair to Brig. J. P. Dalvi, he has unabashedly taken his own share of the blame. The reader need not be in agreement with all the opinions, and inferences, and may want to look into additional literature to draw her own inference. This book is recommended to be read by all who have an interest in military history, cross-border relations, or have a stake in national policies. It will be interest to those who have stake in work functions that has impact across multiple organizations, for the sheer purpose of understanding the complexity and dimension of different demands and expectations that each one has. This book should not be read as a post-mortem report that educates us onto the names of key players in the 1962 war and their roles on the debacle, but as an eye-opener that forces us to think, to plan, to frame policies, and provides a framework to translate these into strategic and tactical plans for managing our borders. While the calendar has moved more than 50 years since 1962, we are still tackling the same border questions, with the same neighbors. When Sir Humphrey Myles Pinkerton Strange, 8th baronet and huntin’ shootin’ and fishin’ squire of Batch Magna, departs this world for the Upper House (as he had long, vaguely, thought of it, where God no doubt presides in ermine over a Heaven as reassuringly familiar as White’s or Boodle’s), what’s left of his estate passes to distant relative Humph, a short-order cook from the Bronx. 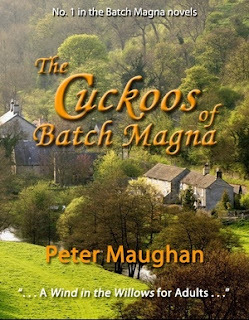 Sir Humphrey Franklin T Strange, 9th baronet, and squire of Batch Magna, as Humph now most remarkably finds himself to be, is persuaded by his Uncle Frank, a small time Wall Street broker with an eye on the big time, to make a killing by transforming the sleepy backwater into a theme-park image of rural England – a vocational paradise for free-spending US millionaires. So, led by randy pulp-crime writer Phineas Cook and Lt-Commander James Cunningham DSO, DSC and Bar, RN (ret) – a man with a glass eye for each day of the week, painted with scenes from famous British naval victories and landscapes that speak of England – the motley crew run up the Union Jack and battle ensigns and prepare to engage. I plan to read a few Crime Fiction and poetry in the coming week. I have been book blogging for the last 7 years. I get almost all the review copies from US/UK publishers or authors. Indian publishers/authors are not keen on sending me review copies. That kinda gets my ire. Why do they need well known reviewers or critics? Why not book bloggers? They are yet to wake up to the power of the book blogger!! Until then, it is their BIG loss!! Please pick up your nearest book or whatever book you’re currently reading, and turn to page 50 and then share the first 50 words with the rest of us. "Well, that is what we have to find out." 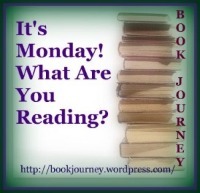 Mailbox Monday was created by Marcia at A Girl and Her Books and is hosted by Abi of 4 the LOVE of BOOKS this month. 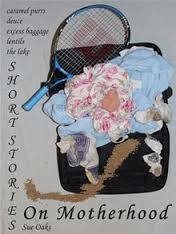 Five short stories that transport you to often surprising aspects of motherhood. A mother fights selfishly with her daughter's lover, watching the curry stain on her lip quiver with rage ... A woman returns to the lake where memories of her childhood createpple across floorboards as labor contractions build ... A totem tennis pole becomes the a vivid contrast to the present ... A woman, alone aside from her cat, watches the shadows ri final stand for a housewife ... A train trip provides a powerful opportunity for a different life. Each of them detailed and beatifuly scripted, with descriptions that infuse the scene in your mind and linguistically relax and tantilise. 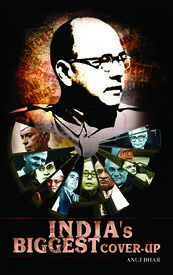 2) India's Biggest Cover up by Anuj Dhar: India's biggest cover-up is an investigative insight into the Netaji mystery and its stranger than fiction subplots. Relying heavily on official records bulk of them still security classified in violation of democratic norms the book uncovers a systematic obstruction of justice by the Government of India. First for any book in India, the narrative has been augmented with the excerpts and images of still secret records. Archival material and information obtained under the freedom of information acts of India, the US and the UK has also been made use of. Anuj Dhar who has spent more than a decade in trying to make sense of the waxed issue, takes you through a maze of intrigues involving some of the biggest names before outlining measures to incontestably resolve what has been the longest-running among the controversies of modern India. And the most explosive too, you will now believe. 3) Himalayan Blunder: The angry truth about India?s most crushing military disaster: Brig. J P Dalvi: It is retelling of the Sino-Indian war that took place in 1962 - a war that India lost. Dalvi fought the war as the Commander of the 7th Infantry Brigade in NEFA (North-East Frontier Agency). His account of the war is graphic and telling. He was captured by the Chinese forces and held for seven months. As a participant of the war, he was privy to all that went on at the battlefield as well as behind the scenes. 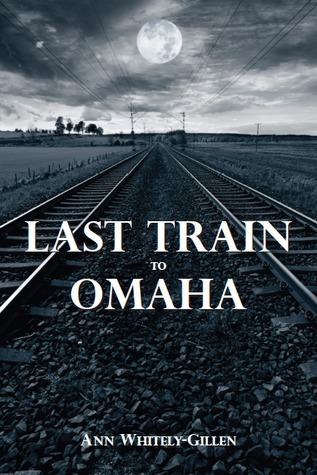 Based on his firsthand experiences, he recounts the events that occurred between September 8, 1962 and October 20, 1962. As early as 1951, China silently and steadily began to work its way onto Indian soil. Even in the face of indisputable evidence, India insisted on maintaining cordial relations with the Chinese. China seemed only too happy to play along. Dalvi narrates the manner in which India’s own political leadership traitorously worked against its cause. In no uncertain terms, he holds three men responsible for India’s defeat - Jawaharlal Nehru, Krishna Menon, and General Brij Mohan Kaul. Issuing orders from Delhi, they seemed to be clueless about the situation on the battlefield. Undoubtedly, when they were rushed into battle, the Indian soldiers - underfed, ill-equipped, and unprepared as they were - never stood a chance against the powerful Chinese army. Regardless of that, the soldiers fought bravely and laid down their lives for their homeland. Dalvi claims that the apathy and the sheer ineptitude of those at the helm of India’s political affairs sacrificed hundreds of valuable lives. Brigadier Dalvi’s detailed narrative of the massacre of the Indian soldiers, a horror that he witnessed firsthand, is heart-rending. What’s your favorite hobby OTHER THAN reading? For a while now, I am addicted to Social Networks, mainly Facebook! I am member of many Nationalist pages and that takes up lots of my time. I have learnt a lot about the my country in the past 6-8 months. By knowing I mean, going ons, which no media shows. Is that a hobby? I am NOT sure! !